With our 20 years in the industry, combined with a 100% track safe surgery record we are “media sought after”. .see our testimonial and TV appearances. Chris Amos (28), London -Features Write”Bent”Magazine. Chris attended our clinic for a nose reshape. A full page feature on his experiences appear in “Bent” magazine. At the same time as his nose job surgery they also corrected a “deviated” septum. This occurred during a childhood accident which attributed towards the “unfavourable” shape to his nose. Our very highly skilled plastic surgeon regularly perform septum correction as the norm. Nose Job or Rhinoplasty, is a procedure designed to provide a more proportionate and “in balance” nose shape in relation to other facial features. A nose job can improve both frontal and side profiles. At the same time this procedure can be combined with repairs/correction to the septu. Many plastic surgeons do not offer septum repairs, as they deem it a job for an ENT specialist. Our surgeons regularly perform septoplasty as the norm. In order to understand what can achieved surgically, it is necessary to have an understanding of the basic anatomy of the nose. Basically the bony part of the nose (the upper third, nearest to the forehead) is much like the sloping roof of a house. There are two bony sides and a central vertical sheet called the septum (made up of bone and cartilage). 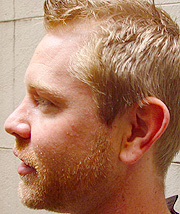 The tip of the nose is largely cartilage. These components exist in a complex arrangement which maintains the integrity of the structure and allows the nostrils to flare during intaking breath without collapsing. Surgical approaches to nose job come into two categories. 1) Internal nose job involves making all incisions inside the nasal cavity. 2) The external or “open” technique. This involves a skin incision across the base of the nasal columella. Our clinic was recently awarded the prestigious German ISO 9001 quality certificate. An external incision allows the surgeon to expose the bone and cartilage more fully, and is most often used for complicated procedures. During surgery, the surgeon will separate the skin from the bone and cartilage support. The framework of the nose is then reshaped in the desired form. Shape can be altered by removing bone, cartilage, or skin. The remaining skin is then replaced over the new framework. If the procedure requires adding to the structure of the nose, the donated bone, cartilage, or skin can come from the patient or from a synthetic source. When the operation is concluded the surgeon will apply a splint to support the nose bones in maintaining its new shape. The nose may also be packed or stuffed with a dressing, to help stabilize the septum. When a local anesthetic is used light sedation is usually given first, after which the operative area is numbed. It will remain insensitive to pain for the length of the rhinoplasty surgery. A general anesthetic is used for lengthy or complex procedures or if the doctor and patient agree that it is the best option. There are two categories; soft and hard nose. Soft nose involves working in the region of the nose tip, with a small amount of bridge reshaping, through filing down the bone. Hard nose involves fracturing the bone and more substantial reshaping. Both procedures are performed under a general anaesthetic. During this highly delicate and intricate operation incisions are made, and hidden inside the nostrils. The only exception being, where the surgeon needs to reduce “flared” nostrils. This involves a tiny external incision which usually fades within a few days post –op. Post op, the most important single issue is to wear the provided plaster cast for around 12 days. When a local anesthetic is used light sedation is usually given first, after which, the operative area is numbed. 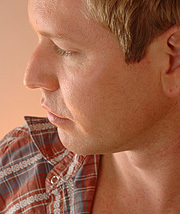 It will remain insensitive to pain for the length of the rhinoplasty surgery. A general anesthetic is used for lengthy or complex procedures or if the doctor and patient agree that it is the best option. Simple nose job is usually performed in an outpatient surgery centre or in the surgeon’s office. Most procedures take only an hour or two, and patients go home right away. Complex procedures may be done in the hospital and require a short stay. A nasal splint is normally worn for the first week after nose job operation. You can expect swelling and some bruising around the eyes after surgery which will begin to improve after the third day, but lasts up to two weeks. After that, you will have a minor degree of swelling noticed only by you and your surgeon. This swelling will go away over the next six months. The final shape of your nose will be apparent after it has healed completely. You should avoid strenuous activity for three to four weeks after surgery. You may return to your social activities in as soon as two to three weeks without any recognizable appearance that you had surgery. You can reduce your risks by closely following advices mentioned above both before and after surgery. When a nose job is performed by a qualified plastic surgeon, complications are infrequent and usually minor. Still, individuals vary greatly in their anatomy, their physical reactions, and their healing abilities, and the outcome is never completely predictable. Complications that can occur include haematoma (a collection of blood under the skin that must be removed by the surgeon) sensation distuebances,(usually temporary),infectionot uneven contour,pigmentation changes and reaction to anaesrhetic. Poor healing of the skin is most likely to affect smokers. You can reduce your risks by closely following advices mentioned above both before and after surgery. When the nose is reshaped or repaired from inside, the scars are not visible, but if the surgeon needs to make the incision on the outside of the nose, there will be some slight scarring. In addition, tiny blood vessels may burst, leaving small red spots on the skin. Although these spots are barely visible they may be permanent. It should be considered that a surgeon is unable to chisel out a precise nose shape according to the patients wishes. Images can be used as a guide, but it does not mean he can copy it. Often patients express initial disappointment, unfortunately overlooking the fact it takes 6 months before final results become apparent. However some surgeons, more than others, are prepared to go that extra mile. Our 18 years unrivalled experience in this country enables us to chose wisely for you. In the Czech Republic patients do not run the risk of surgeon lottery selection. By law your surgeon must be qualified in plastic surgery (or they face prison). However some surgeons, more than others, are prepared to go that extra mile. Our 18 years unrivalled experience in this country enables us to chose wisely for you. Established 1996, Europa-International pioneered the original concept of overseas cosmetic surgery. Since then we have often been copied, but never emulated. We have a 100% track record, and because of our experience and reputation, we are the most “media sought after” cosmetic surgery services in the UK. To find out more on: Nose reshaping , Rhinoplasty, Nose Job, to bring your face into harmony pleasecontact us.